Bruce performs at The Concert For Valor, saluting America's veterans on Veterans Day. Before a crowd approaching one million on Washington's National Mall, Bruce joins Dave Grohl and the Zac Brown Band for "Fortunate Son". three-hour concert is broadcast live on HBO and streamed over the internet. This performance on Veterans day was considered to be very controversial and anti patriotic. John Fogerty responds to criticism of Bruce Springsteen, Dave Grohl and Zac Brown's performance of "Fortunate Son". 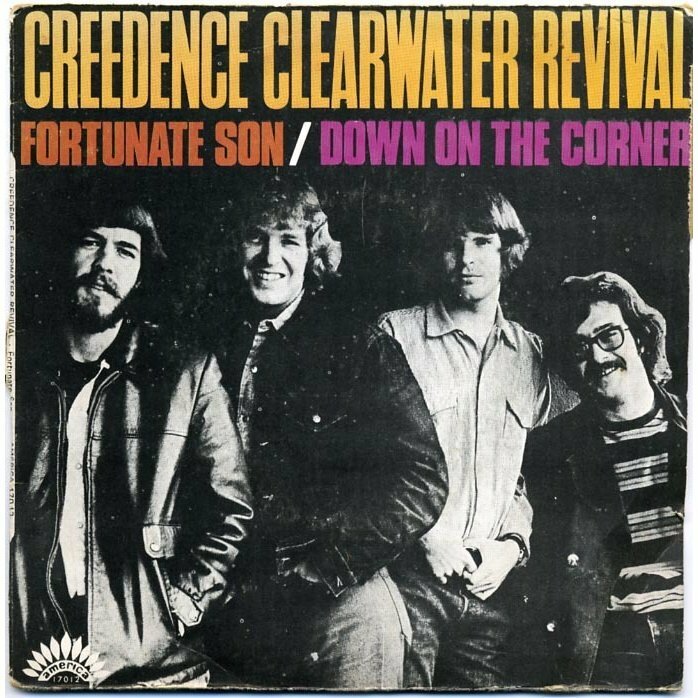 Always together with John Fogerty, who Bruce announces as " the Hank Williams of my generation"
"Fortunate Son" is a song by American rock band Creedence Clearwater Revival released on their fourth studio album, Willy and the Poor Boys in November 1969. It was previously released as a single, together with "Down on the Corner", in September 1969. It soon became an anti-war movement anthem; an expressive symbol of the counterculture's opposition to U.S. military involvement in the Vietnam War and solidarity with the soldiers fighting it. The song, released during the peak period of U.S. involvement in Vietnam, is not explicit in its criticism of that war in particular, rather, it "speaks more to the unfairness of class than war itself," according to its author, John Fogerty. "It's the old saying about rich men making war and poor men having to fight them."